Doug Varone and Dancers continues to be among the most sought-after ambassadors and educators in the field. The company's multi-discipline residency programs take audiences deeper into the work, with hands-on approach that moves beyond the studio to speak directly to people of all ages and backgrounds, both dancers and non-dancers alike. Our annual intensive workshops at leading universities have attracted students and professionals from around the country, and through our innovative DEVICES choreographic mentorship program, we are training the next generation of artists an dance-makers. Award-winning choreographer and director, Doug Varone works in dance, theater, opera, film, and fashion. He is a passionate educator and articulate advocate for dance. By any measure, his work is extraordinary for its emotional range, kinetic breadth and the many arenas in which he works. 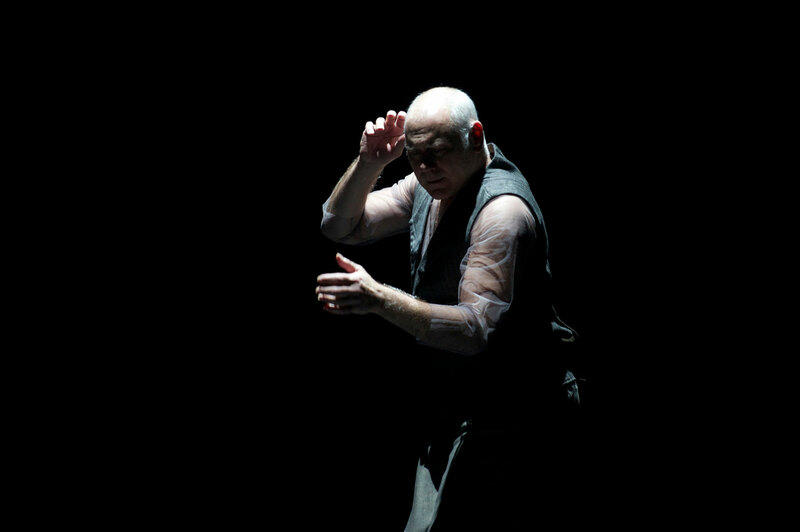 His New York City-based Doug Varone and Dancers has been commissioned and presented to critical acclaim by leading international venues for close to three decades. In the concert dance world, Varone has created a body of works globally. Commissions include the Paul Taylor American Modern Dance Company, Limón Company, Hubbard Street Dance Chicago, Rambert Dance Company (London), Martha Graham Dance Company, Dancemakers (Canada), Batsheva Dance Company (Israel), Bern Ballet (Switzerland) and An Creative (Japan), among others. In addition, his dances have been staged on more than 75 college and university programs around the country. In opera, Doug Varone is in demand as both a director and choreographer. Among his four productions at The Metropolitan Opera are Salome with its Dance of the Seven Veils, the world premiere of Tobias Picker’s An American Tragedy, Stravinsky’s Le Sacre du Printemps, designed by David Hockney, and Hector Berloiz’s Les Troyens. He has staged multiple premieres and new productions for Minnesota Opera, Opera Colorado, Washington Opera, New York City Opera, and Boston Lyric Opera, among others. His numerous theater credits include choreography for Broadway, Off-Broadway and regional theaters across the country. His choreography for the musical Murder Ballad at Manhattan Theater Club earned him a Lortel Award nomination. Film credits include choreography for the Patrick Swayze film, One Last Dance. In 2008, Varone’s The Bottomland, set in the Mammoth Caves of Kentucky, was the subject of the PBS Dance in America: Wolf Trap’s Face of America. Last season he directed and choreographed MASTERVOICES production of Dido and Aeneas at NY’s City Center, starring Tony Award winners Kelli O’Hara and Victoria Clark, alongside the Company. Most recently, he staged Julia Wolfe’s Pulitzer Prize winning oratorio, Anthracite Fields featuring the Bang on a Can All-Stars and the Westminster Choir. Varone received his BFA from Purchase College where he was awarded the President’s Distinguished Alumni Award in 2007. Numerous honors and awards include a John Simon Guggenheim Fellowship, an OBIE Award (Lincoln Center’s Orpheus and Euridice), the Jerome Robbins Fellowship at the Bogliasco Institute in Italy, and two individual Bessie Awards. In 2015, he was awarded both a Doris Duke Artist Award and the Lifetime Achievement Award from the American Dance Guild. Varone teaches workshops and master classes around the world for dancers, musicians and actors. He is currently on the faculty at Purchase College, teaching composition. COURTNEY BARTH is originally from Las Vegas, Nevada, and began her dance training at Las Vegas Academy of Performing Arts. She then attended SUNY Purchase where she received her BFA in dance and performed works by Kyle Abraham, Kevin Wynn, and Martha Graham. Courtney is currently based out of New York City and has worked with Shannon Gillen, Kensaku Shinohara, and Hannah Garner’s 2nd Best Dance Company. She also performed as an original cast member of Polaris by Crystal Pite at Sadlers Wells. Courtney began working with Doug Varone and Dancers in 2017. HOLLIS BARTLETT is a performer, teacher, creator, administrator, and advocate for the arts. His curiosity for movement and performance began at an early age, and eventually led him to NYU’s Tisch School of the Arts where he received a BFA in Dance. While at Tisch he also studied abroad at the Salzburg Experimental Academy of Dance in Austria. He has been a member of Doug Varone and Dancers since 2011 and also has had the pleasure of working with Brian Brooks, Adam Barruch, Steeledance, Sydney Skybetter, and the Metropolitan Opera. In addition to dancing for Doug Varone, he manages the company’s licensing and staging projects and has reset Varone’s repertory on colleges across the country. As an educator, Hollis has taught at the Bates Dance Festival, The Dance Complex (Boston), at universities including NYU, SUNY Purchase, UNC School of the Arts, The Hartt School, Connecticut College, and Hofstra University; and has ongoing open classes at Gibney Dance Center (NYC). From 2010-2015, Hollis served as a member of Dance/NYC’s Junior Committee; an incubator for the next generation of dance leadership working to bolster the dance community through research, discussion, and community action. As a creator, his collaborations with partner Nattie Trogdon have been presented at various venues including Dixon Place, Triskelion Arts, Gibney Dance Center, FIRST LOOK at Brooklyn Ballet and The Dance Complex (Boston). BRADLEY BEAKES is a New York City based dance artist originally from Glendora, CA. A graduate of California State University, Fullerton, Bradley first moved to NYC in 2010 to attend the Ailey School. He later danced with Project 44, Naganuma Dance, and Visions Dance Theatre where he was named the 2010 Lester Horton Award Winner for "Outstanding Male Performance". In 2011, Bradley joined Ririe-Woodbury Dance Company where he performed until 2016. Bradley was honored to dance with the Limón Dance Company from 2016-2017 as well as guest perform with Keith Johnson/Dancers and NOW-ID. He has served on rotating faculty for the Limón School since 2016 and also teaches at Peridance and Gibney 280. His choreography has been presented in venues including INKUBATE Dance Festival, American College Dance Festival, the Great Salt Lake Fringe Festival, among others. Bradley joined Doug Varone and Dancers in the summer of 2017. JAKE BONE, originally from Dallas, Texas, is a Brooklyn based performer, teacher and choreographer. He earned a BFA in dance at the University of North Texas where he performed works by Bebe Miller, Kihyoung Choi, Anna Sokolow, and Bulareyaung Pagarlava (ADF). Since moving to New York, Jake has had the pleasure of working with Gibney Dance, the Median Movement, the Metropolitan Opera, and currently dances for Bare Dance Company. Additionally, he is the event coordinator for Awakening Movement, a faith-based dance organization. WHITNEY DUFRENE, originally from Louisiana, graduated with a BFA in dance from Belhaven University. She received her training primarily from Baton Rouge Ballet Theatre and Point Park. She served as company director and instructor for Dance Du Coeur, alongside performing and serving with Ad Deum Dance Company in Houston. Whitney has also worked closely with Creative Dreams Outreach Center, serving as their dance director. She has choreographed work for Ad Deum, Dance du Coeur, Belhaven’s Dance Ministry, BRBT, and for Weave Dance Collective in Biel, Switzerland. Recently, she was also honored to perform with Tabernacle Dance Company for the Feast of Tabernacles held annually in Jerusalem. She partnered with the Manship Theatre, working to bring the arts into the Baton Rouge public school system with greater strength. Whitney is incredibly grateful for the opportunity to work with Doug Varone and Dancers this year. HSIAO-JOU TANG was born and raised in Taiwan where she studied ballet, modern, traditional Chinese dance and martial arts. She moved to New York in 2004 to attend SUNY Purchase College and graduated in 2008 with a BFA in Dance. Tang has had the great pleasure of working with a number of wonderful people and companies including Kyle Abraham / Abraham.in.motion, the Metropolitan Opera, Shen Wei Dance Arts, Kevin Wynn Collection, Daniel Charon Dance, Nora Petroliunas/The Pharmacy Project and the Median Movement . Hsiao-jou joined Doug Varone and Dancers in 2012. AYA WILSON is a dance artist originally from Normal, Illinois. She graduated from the University of Iowa with a BFA in Dance and a minor in Japanese. In New York, Aya has had the pleasure of working with choreographers including David Dorfman Dance, Sarah A.O. Rosner/the A.O. Movement Collective, Kendra Portier/ BAND|portier, Mariah Maloney, Nadia Tykulsker/Spark(edIt) Arts, Sarah Council Dance Projects, Tara Aisha Willis, and Kensaku Shinohara. She also teaches at Gibney Dance Center. In addition to dancing for Doug Varone, she works administratively as the company’s tour manager. Aya began working with Doug Varone and Dancers in 2015. RYAN YAMAUCHI was born and raised in Honolulu, Hawaii and began his dance training at the Mid-Pacific Institute School of the Arts. He later moved to New York and received his BFA in Dance from SUNY Purchase. Ryan has had the pleasure of dancing with Loni Landon Dance Projects, ProjectLIMB, 2nd Best Dance Company, and Sidra Bell Dance New York (Apprentice). He has also performed as a guest dancer with Gibney Dance Company and Santa Barbara Dance Theater. As a choreographer, Ryan has created work for the Mid-Pacific Institute School of the Arts and The Juilliard School. Ryan began working with Doug Varone and Dancers in 2015.